The Flush Mounts Collection Exhibits The Same Beautiful Detailing As A Chandelier, But In A Smaller Size Suitable For Lower Ceilings And Smaller Spaces. 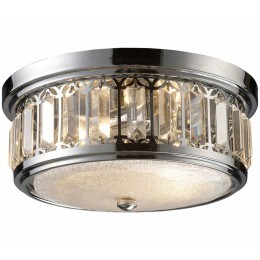 Each Item Has An Attractive Banding On Top With White Satin Glass And A Decorative Finial. Choose From Various Styles And Finishes To Match Your Decor. 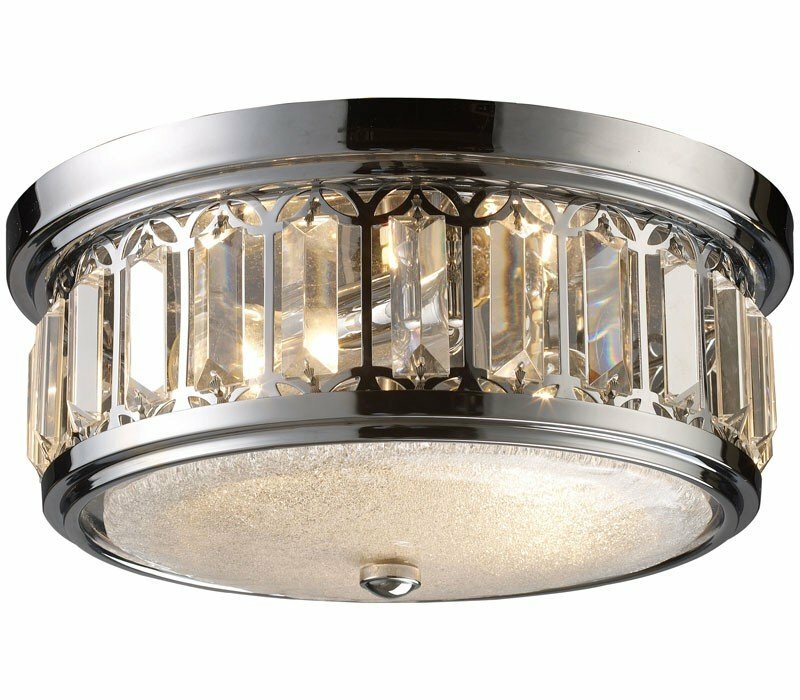 The ELK 11226/2 Flushmounts collection Close to Ceiling Lighting in Polished Chrome uses Incandescent light output and brings Antique style. The total wattage is 120 and the voltage is 120 volts. The ELK Lighting 11226/2 requires 2 bulbs (not included). Additional Information: Shade-Ice Glass.